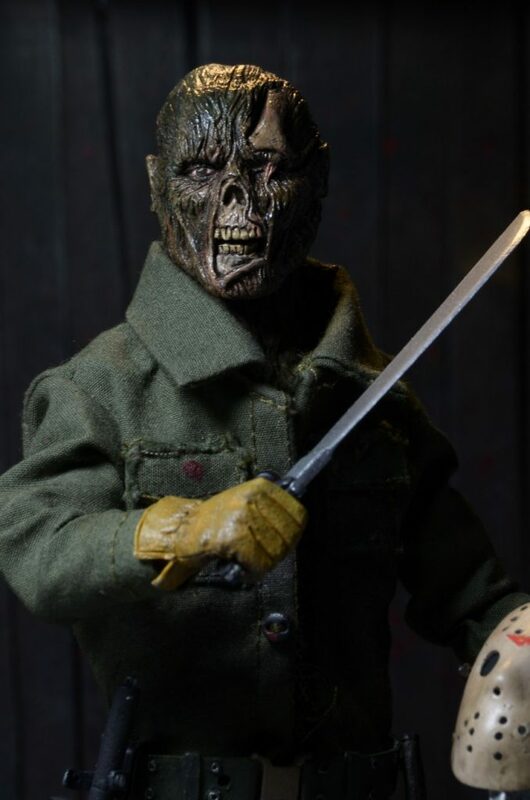 From the classic Friday the 13th fear franchise, our newest retro clothed action figure is Jason as he appeared in Part 6: Jason Lives! 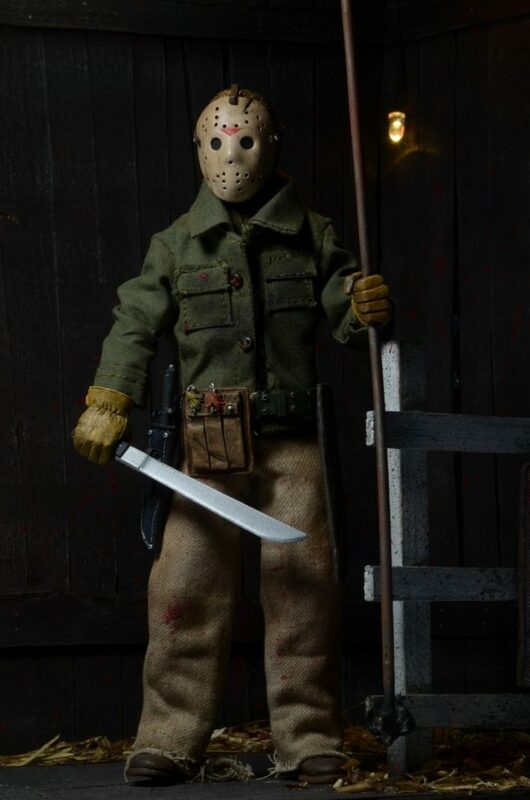 This gruesome, freshly unearthed Jason stands 8” tall and is dressed in fabric clothing similar to the iconic toy lines of the 1970s. 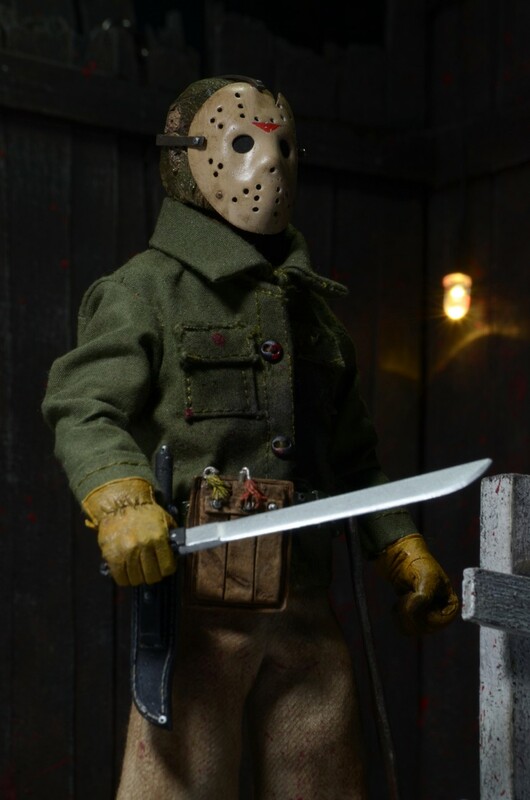 He’s fully poseable and comes loaded with accessories: removable mask, a machete and a knife that both fit into sheaths on his belt, and the metal fence post that reanimated him. 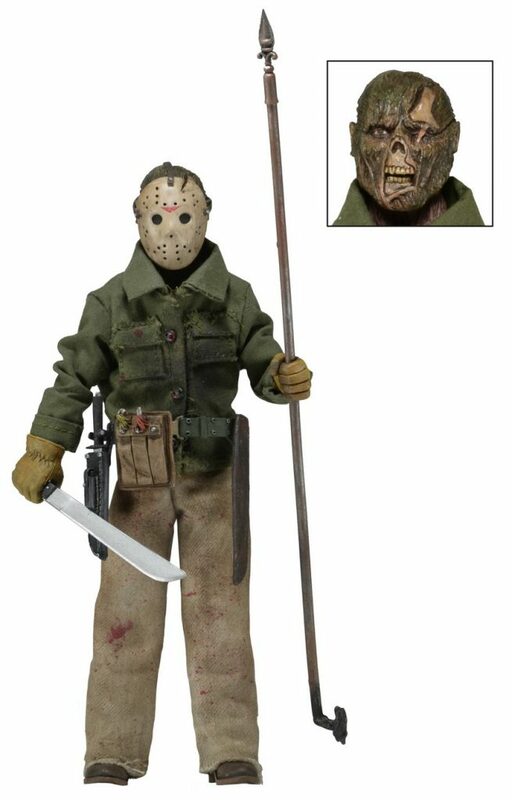 Plus the packaging features custom artwork created just for this release! Blister packaging with resealable protective clamshell.